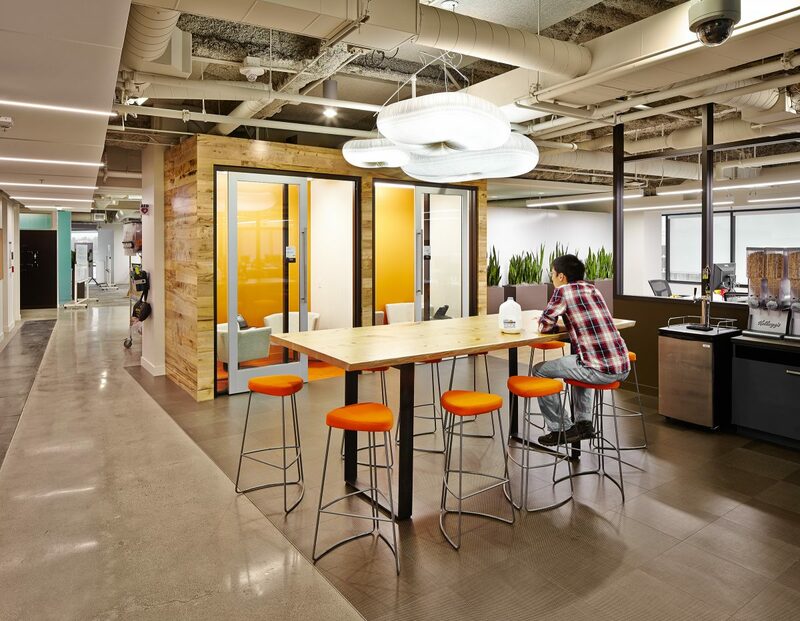 How place can foster the spirit of a start-up, even for a high-tech powerhouse. 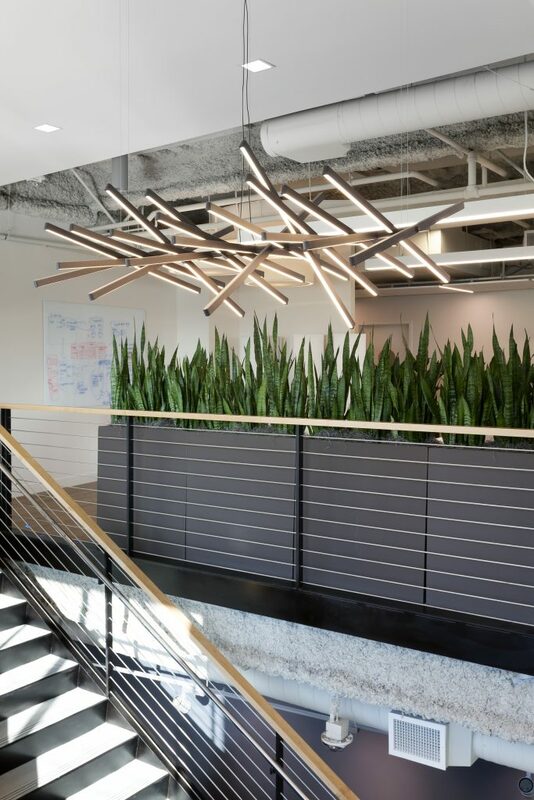 This confidential on-demand enterprise software company cultivates a spirit of trust, honesty, and fun. 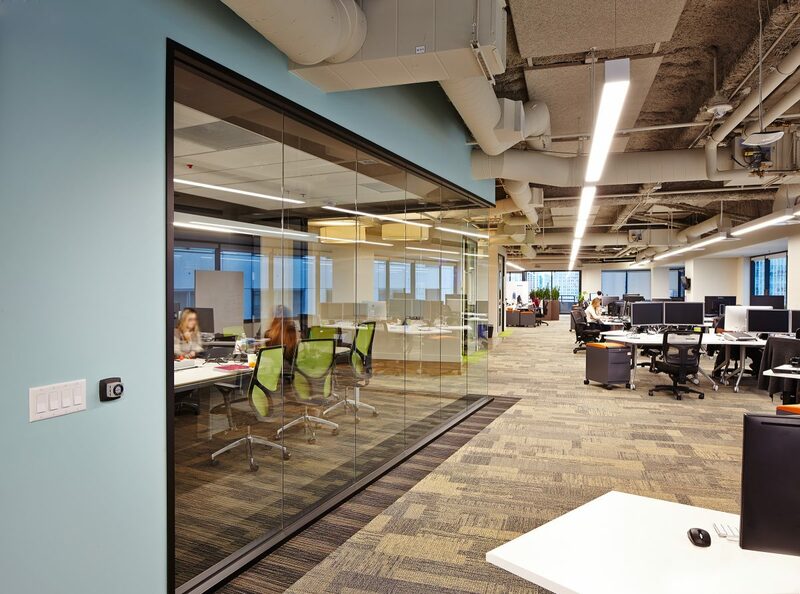 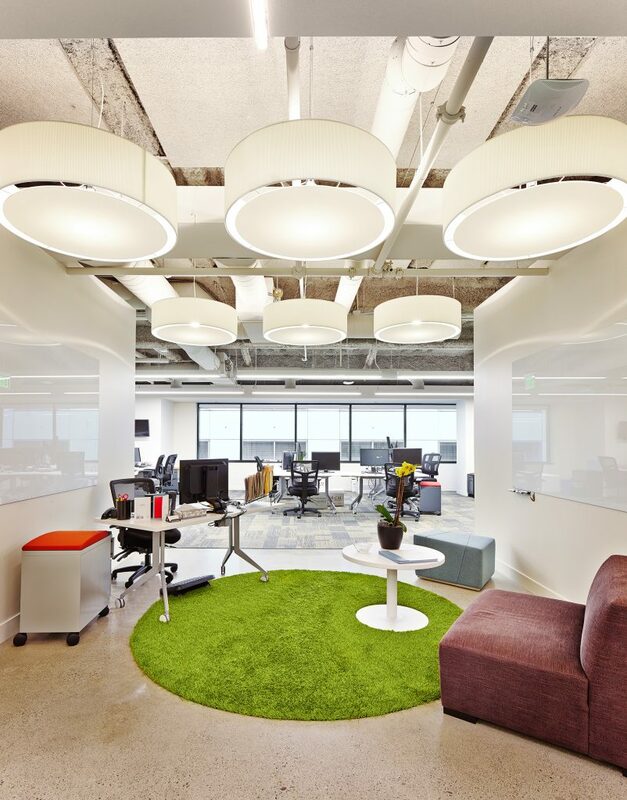 The client wanted its new 31,696-square-foot San Francisco offices to maintain a small-company feel, embracing the creative thinking that drives change and innovation while supporting rigorous collaboration and teamwork. 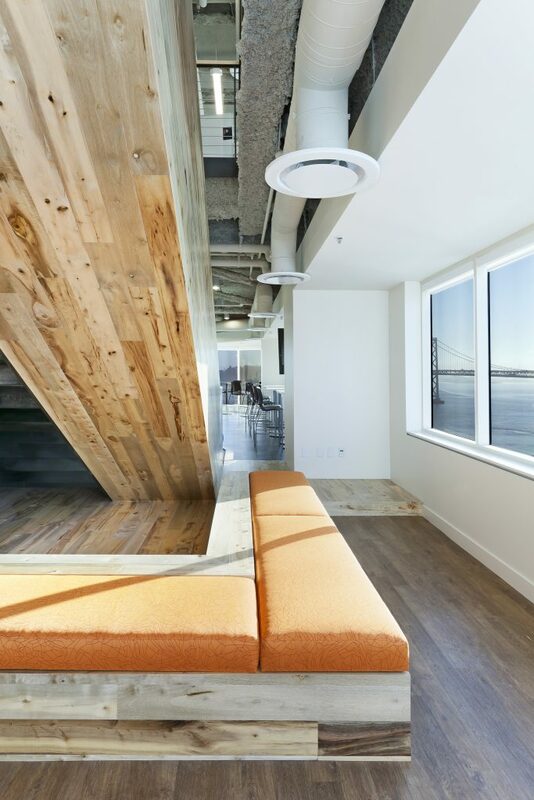 RMW tells the firm’s story through raw, natural finishes, bright colors, and informal furnishings. 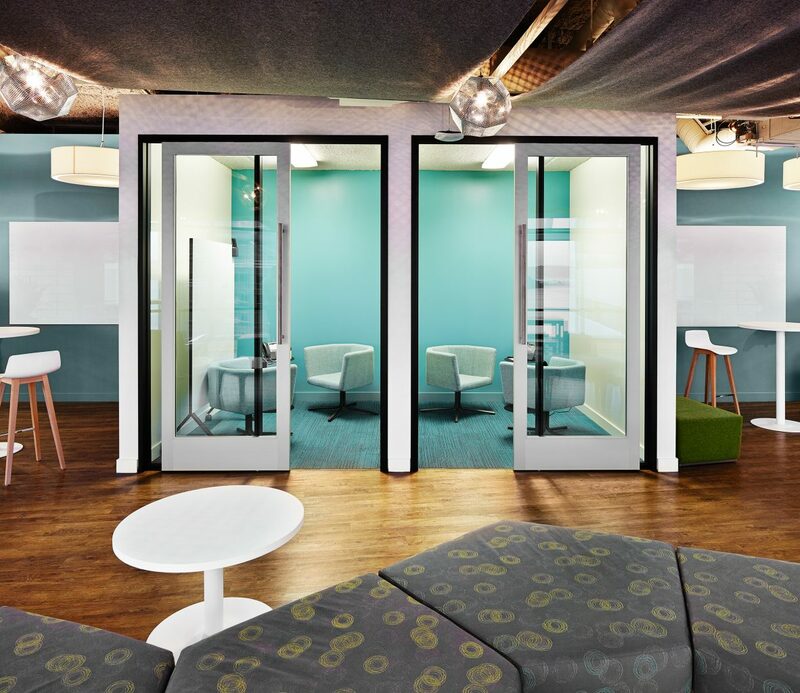 The spaceplan divides the workplace into zones for teamwork, scrum-style brainstorming, and concentration. 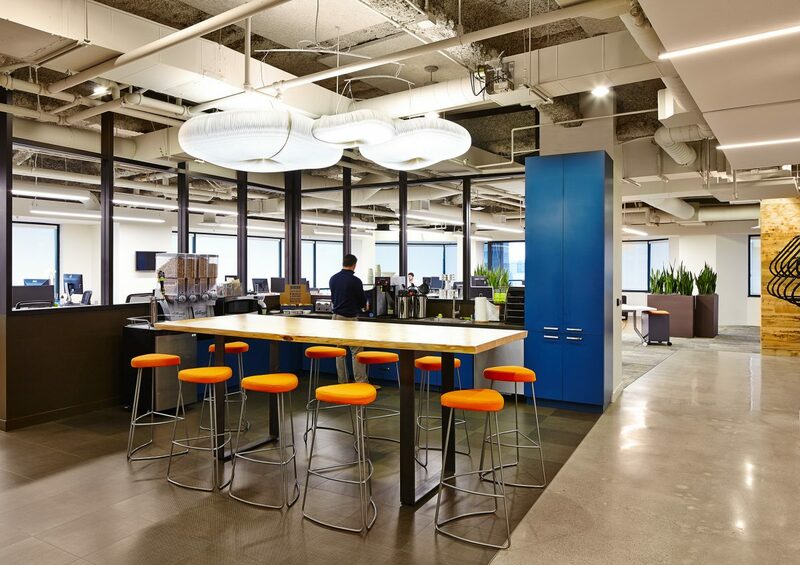 Work stations are small and agile, promoting a variety of postures through sit-stand desks and lounge-style break-out areas. 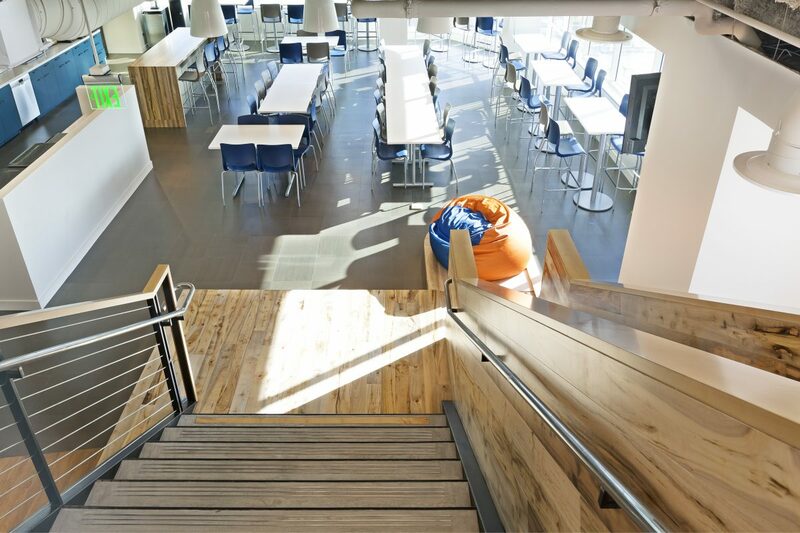 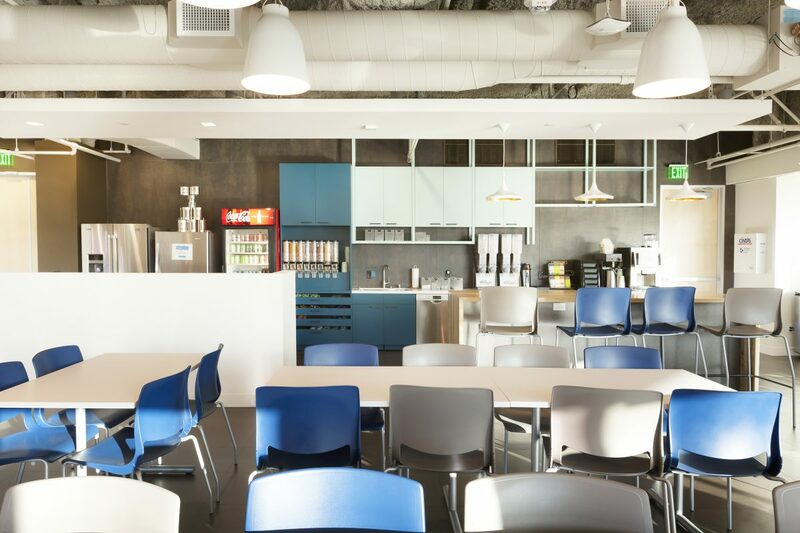 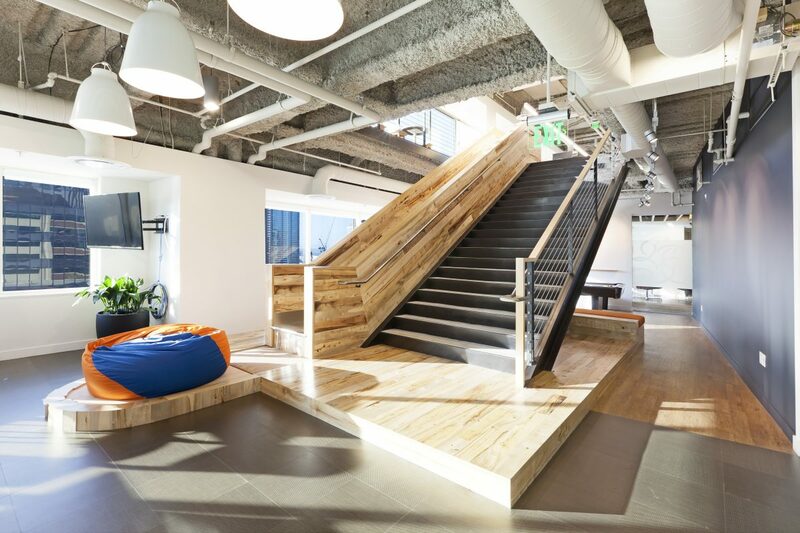 A medley of small gathering spaces maintain the intimacy of a start-up, as do amenities such as a gaming area off the employee breakroom, and the slide that parallels the stairwell. 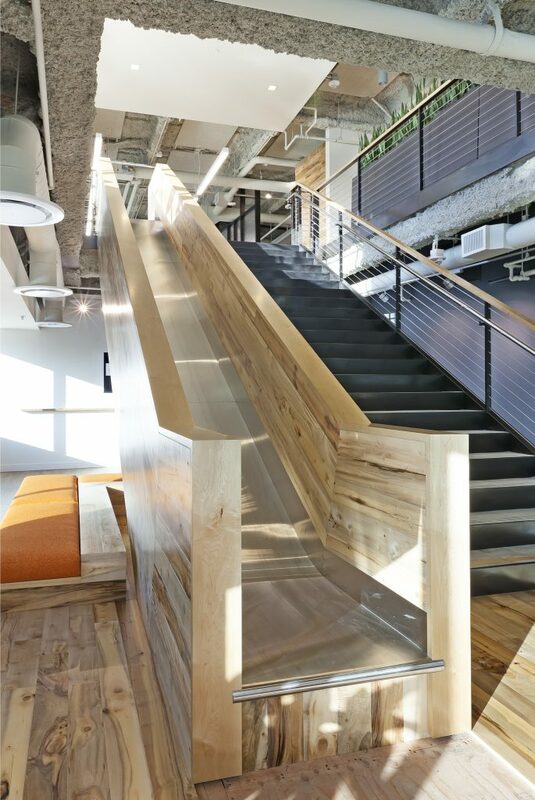 To fit into the space, the slide had to be custom fabricated. 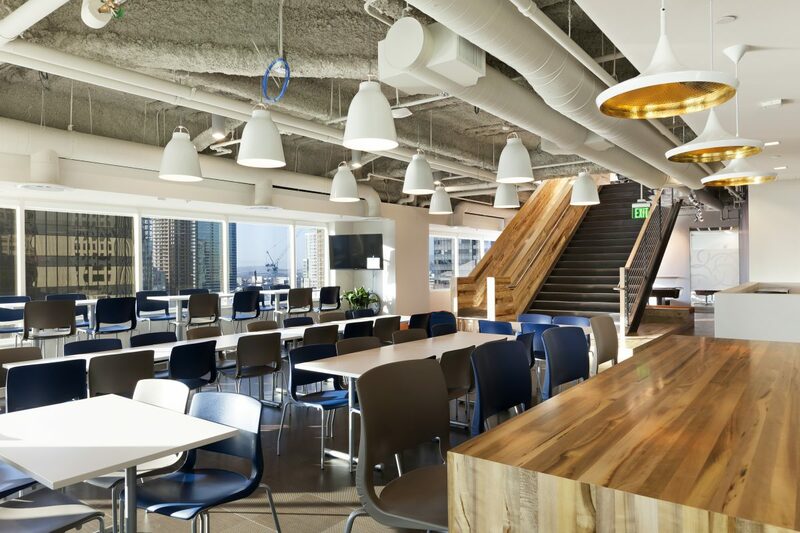 RMW worked with a vendor with whom we have a close relationship in order to keep costs down. 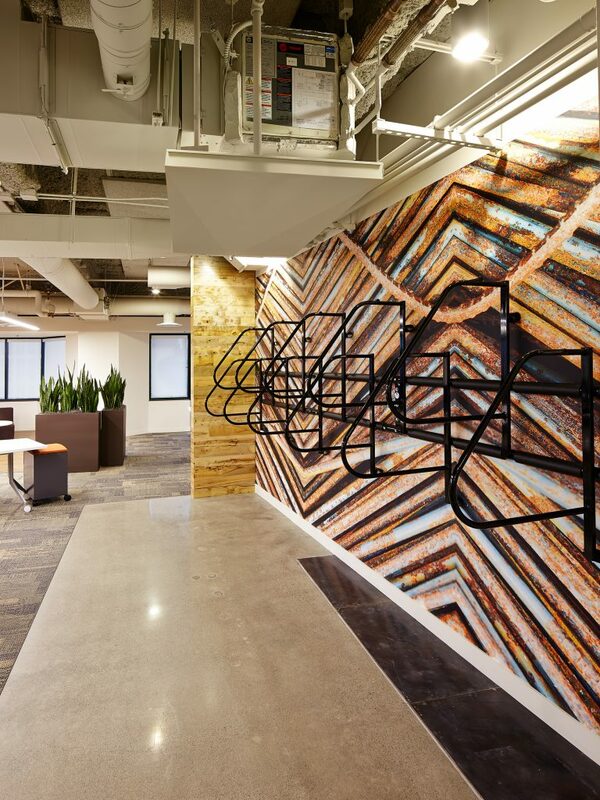 Large print wall graphics add trompe l’oeil whimsy. 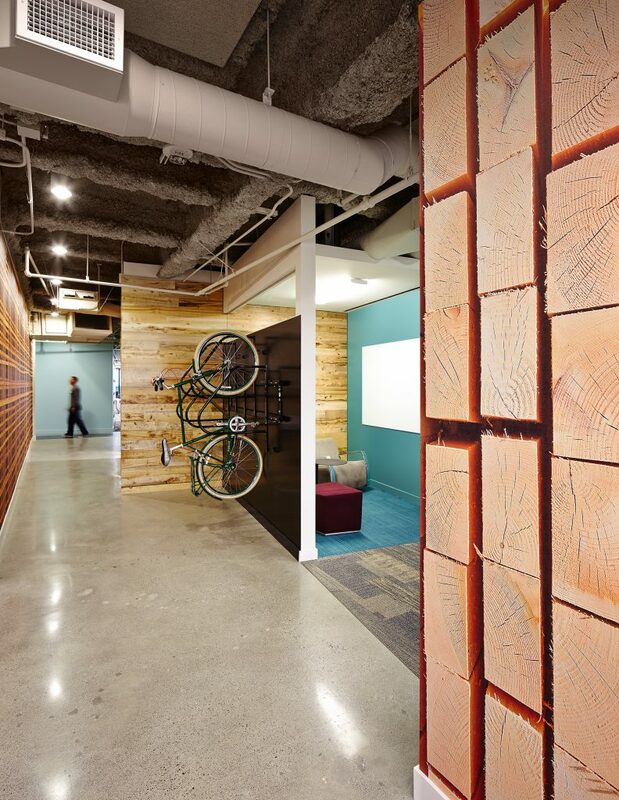 Bicycles are a huge part of the company culture, so bicycle storage was incorporated into the design.